With the advent of emission control regarding vehicle exhaust came the need to ‘scrub’ environmentally harmful gases before emitting the products of combustion into the atmosphere. 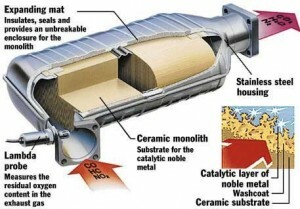 Your Catalytic Converter , part of the vehicle’s exhaust system, is designed to either reduce or oxidize (through chemical reaction) the noxious gases using catalysts. Should your “Check Engine” light be illuminated, chances are there is a problem with your catalytic converter – it is essential that the expert technicians at Everett Catalytic Converter diagnose and repair your exhaust system immediately! Although emission control is not monitored in every county in Washington state, by doing your part, voluntarily, emissions testing may never be necessary. Think about it: if every vehicle owner were to assure proper operation of the catalytic converter(s) – collectively, vehicle emissions will remain low enough that testing becomes irrelevant. 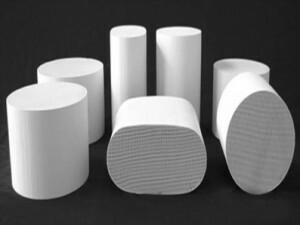 Understanding the elegant design of a catalytic converter is recommended to grasp the true value of how this component helps to clean the world’s air. Just as important is learning the primary reasons for catalytic converter failure. Should your vehicle’s catalytic convertor have a melted substrate or be showing signs of substrate overheating it is crucial that the underlying problem be diagnosed and repaired immediately! Leaded Gasoline – using in a vehicle with a catalytic converter will cause catastrophic damage; the fuel lines must be flushed or replaced should this happen. Antifreeze – if present in the exhaust system indicates a leaks within both the cooling and the exhaust system, the leaks must be located and repaired immediately. Cross-contamination can cause severe damage to both systems. The presence of oil either on or in a catalytic converter’s substrate can indicate a leak in the vehicle’s engine. A common symptom of this is a dramatic increase in oil consumption. Your car using increasing amounts of oil could be a result of excessive engine wear. Please note: the underlying cause of the problem must be remedied before replacing an oil coated/plugged catalytic converter substrate. Which, in this case, would include repair/replacement of your vehicle’s engine. Each of these conditions is potentially hazardous and must be evaluated and repaired immediately.